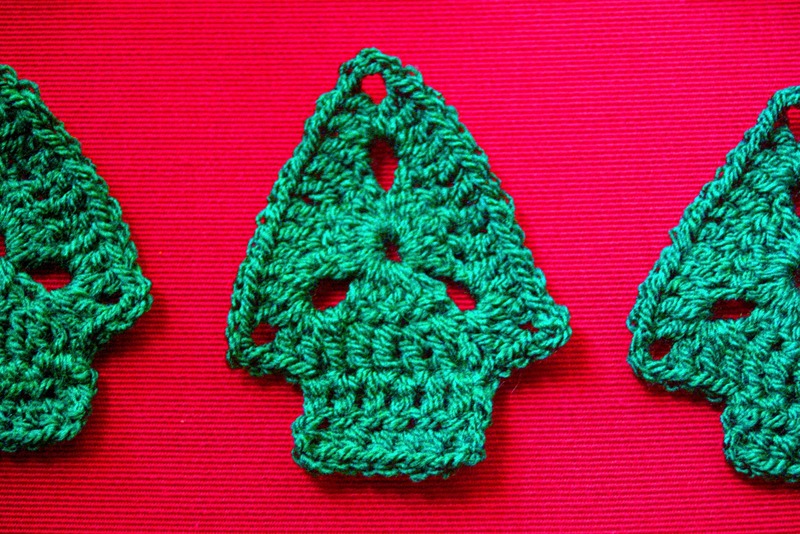 I find that one of the disadvantages of being a crafter is that Christmas comes around a lot earlier than it does for many other folk. We have only just put our heating on, I'm still wearing my Spring/Autumn light coat, and I haven't even thought about Halloween or Bonfire night yet......but today I started making Christmas decorations....yes, I know, I hate it too! I have a stall booked at a Christmas craft fair for the beginning of December so I thought that I had better actually make some Christmassy things for it. As I have been having problems with my wrists I have to make small, quick things, in order to actually have enough stock for the stall. I thought that decorations would be the best thing. So, after a bit of time hooking something bizarre up, un-ravelling, hooking something else bizarre up I came up with a pattern that actually reassembled what I was hoping to achieve- a Christmas tree! I have made six so far. What do you think? Heading over to Handmade Harbour to share in Handmade Monday for the first time. I can't wait to see what everyone makes. 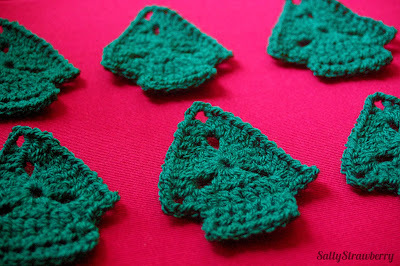 Love your little Christmas trees. 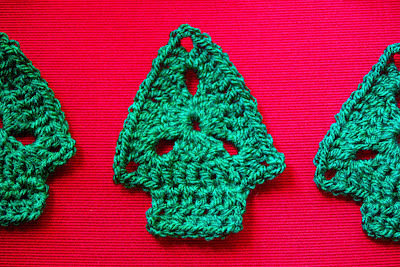 Would look very pretty hanging on a tree as an ornament or strung as a garland. Great ideas! Hi, thank you! A garland would be a great idea actually, thanks for the suggestion! They are lovely. Well done you. I agree that they would look lovely hung on a tree or as a festive garland. Beautiful trees, I love them. What do I think? I think they are lovely. What a cute design. I'm sure they will be a favorite at the Christmas fair. Fabulous! 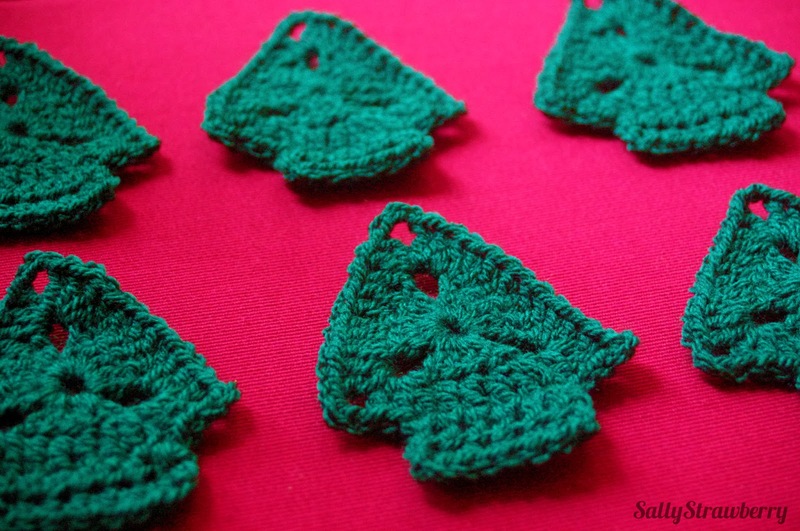 They will look great with a few sequins, and hung up individually or on a garland. They are really lovely, I'm sure with some sequins on they'd look great either hanging from a tree or on garlands too. Thanks Lucy, can't wait to have a play with sequins and the glue gun!